Where else could you find yourself stood hearing Amy McDonald in one ear and Fatman Scoop in the other without it seeming completely out of place? 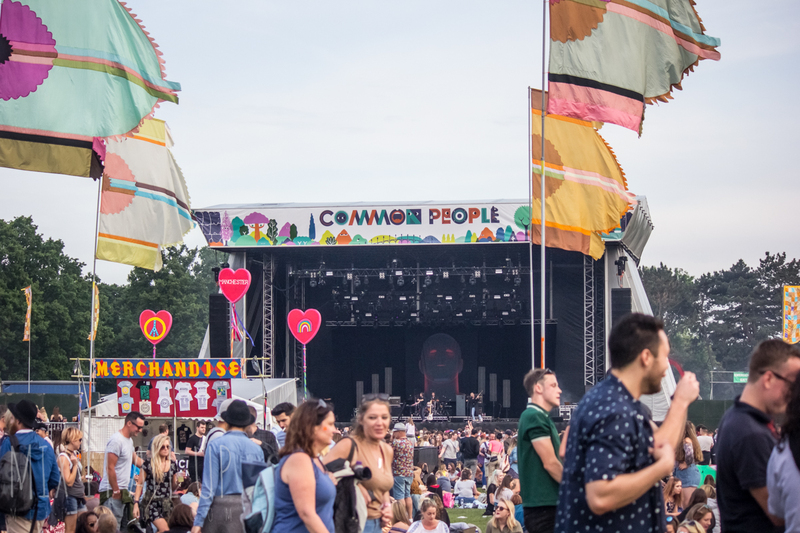 Common People Southampton, now in its third year was full of pleasant surprises across the weekend including new favourite bands and general oddities. First up on Saturday was Kassassin Street who returned with a set comprised of mostly new music and/or arrangements. 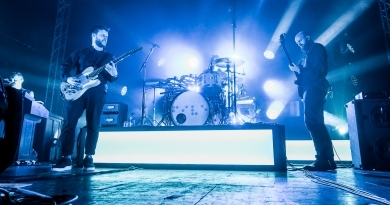 Despite it being a brand new set, they played as if they’d been playing it live for the last few years and for a midday set, saying it was just lively would be an understatement. With poignant ‘Love Without Borders’ as well as fan-favourite set closer ‘Centre Straight Atom’ their set (albeit short) definitely went down a storm. Following this, Saturday was spent randomly seeing bands based upon their names which is always a good experience. First off was Feeble Grandpa who are basically your standard rock band, but were entertaining nonetheless. In between, Portsmouth Batala were playing a pop-up gig in between both the Common and Uncommon Stages. I’ve always ended up missing them everywhere, so it was great to finally catch a good part of their energetic set in between bands. Anyone who knows me, will know that pop punk is not my thing and I’ll stay away from it at all costs. However, not knowing what to expect from Scarecrow Boat, I did in fact give them a chance and they’re definitely good at what they do. But to anyone who does like pop punk, I would definitely recommend seeing them. What’s better to end off a Saturday afternoon than with an Elvis fronted Nirvana tribute band? Elvana were a lot of fun and brought their high-energy, amusing covers of Nirvana tracks to Southampton Common. Definitely not my thing at all, but after being recommended going to see them, I had to check them out. I was actually expecting it to be a tacky affair, but I was actually taken aback by how tastefully their performance was put together. Sunday started off rather wet and I was half expecting it to turn into a washout. I’m pretty sure that the tent for The Dead Freights wasn’t packed for that reason though. 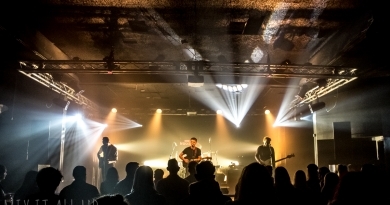 The Southampton based rock & roll band churned out various lively tracks throughout their set with entertaining banter between. Shortly after, The Costellos were up next. The last time I saw the band was in a near pitch-black vault under the depths of Southampton a few years back for Music In The City. A couple of years on and the band played a more solid set than ever with tracks with clear Britpop influences throughout. Biggest surprise of the weekend? British Sea Power complete with trees and dancing polar bears. A band who I thought was just hype, turned out to be a band I’d been missing out on for years. There’s a depth and a magic to their live performance that was completely something else. As a lover of post-rock instrumental music, the majestic ‘The Great Skua’ sealed the deal for me alongside ‘Keep On Trying (Sechs Fraunde)’ taken from their latest album and I’m rather looking forward to seeing them live again at some point. I’d never listened to Natives before at all, but seeing as I had a gap, I decided I’d go and check them out. They weren’t my thing at all and I feel like their frontman was attempting to be the next Isaac from Slaves, which really didn’t work. They brought a crowd though and it seemed to go down well amongst them, it just wasn’t for me. 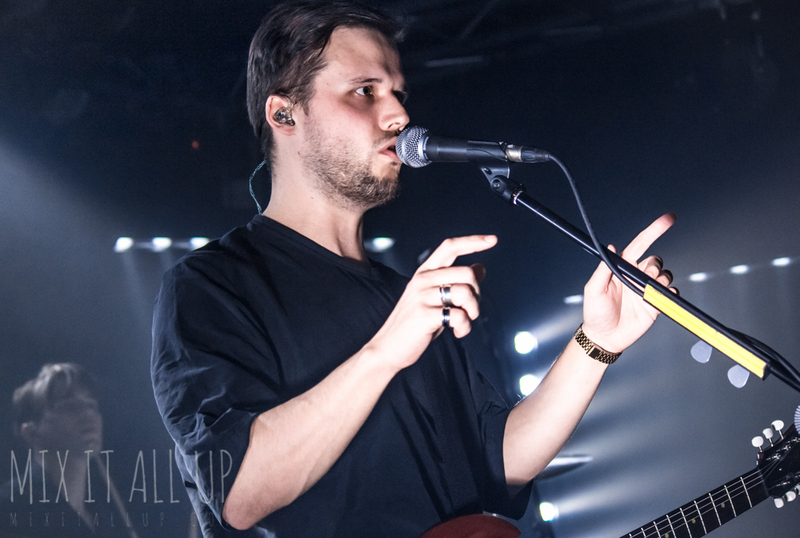 I tried to get into Wild Beasts when I was about 14, but it wasn’t happening. 9 years on, I decided to give them another chance and I must admit, I was definitely charmed by their live set. The last band of the weekend for me was Blaenavon who I’ve been meaning to see for a few years now. Unfortunately, didn’t catch their whole set, but tracks such as ‘My Bark Is Your Bite’ were clear highlights from what I did see. They definitely didn’t disappoint anyway with what was an energetic performance. After originally being sceptical about Common People Southampton, I was amazed by how much I did actually enjoy it. One thing that did surprise me, was how small the festival actually is and despite having loads to do, everything is very accessible and you could walk between the Common and Uncommon Stages in just under five minutes. I’d definitely recommend Common People Festival due to its diversity and how well organised it was. Regardless of your music taste, there’s definitely something to suit everyone and you may even find your next favourite band. More photos from Common People Southampton 2017 can be found here. ← Reverend & The Makers announce 6th album!